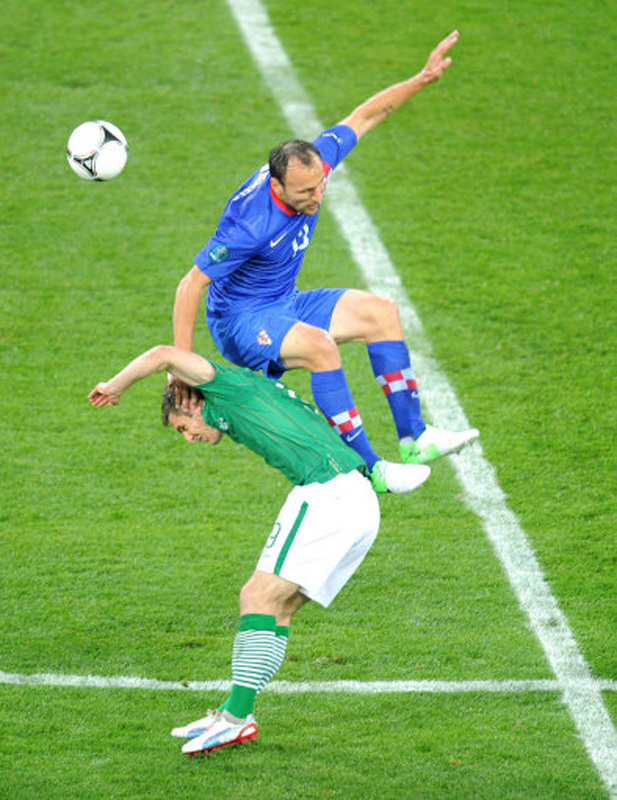 Ireland’s famous defensive resolve was nowhere to be seen on Sunday evening in Poznan, as the Boys in Green failed to deal with an impressive Croatian attack. 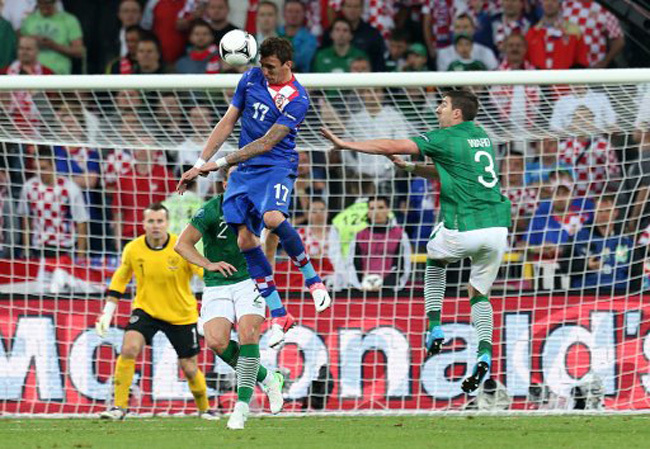 Star of the show, Mario Mandzukic, had already got on the scoresheet after just three minutes, when his header beat a rather flat-footed Shay Given in the Ireland goal. 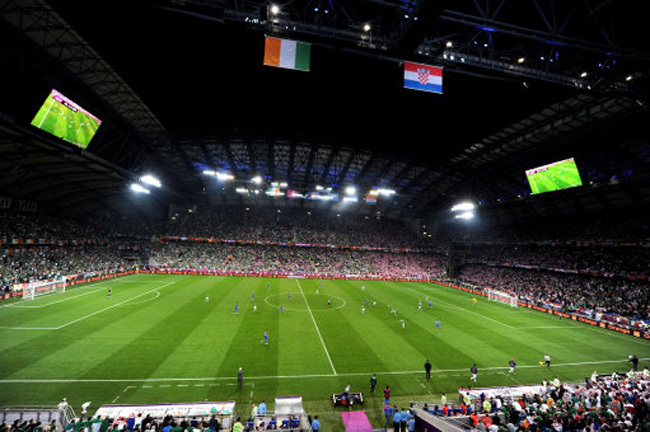 However, driven on by a massive Irish crowd, Giovanni Trapattoni’s men got themselves back into the game, courtesy of a Sean St Ledger header. 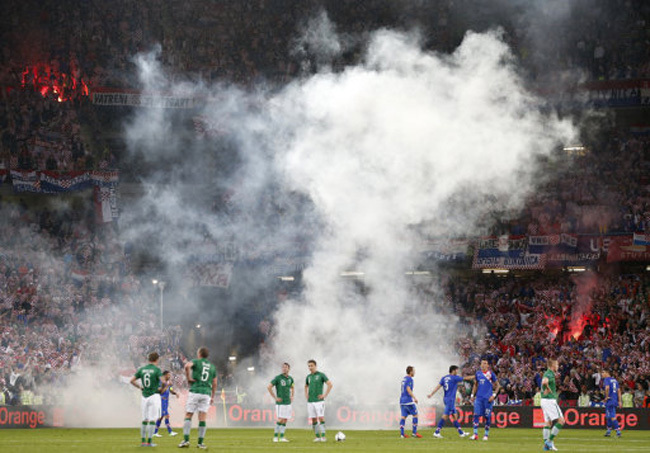 However, just before the break, the Croats’ superiority (and Ireland’s rubbish defending) came to the fore again, with Everton striker Nikica Jelavic firing home from close-range after a dreadful sliced clearance from Stephen Ward. As the cliché goes, it was indeed a terrible time to give away a goal and the Irish never recovered. 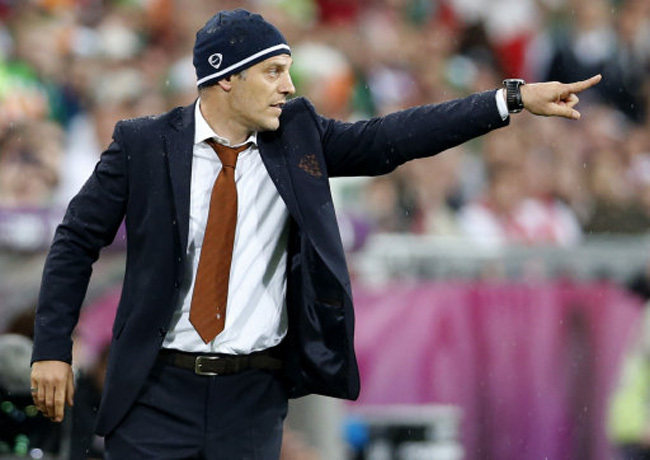 Slaven Bilic’s men, technically on a different planet to the Irish, made it 3-1 soon after the re-start, when Mandzukic’s effort came back off the post only to hit Given ‘s head and end up in the back of the Irish net. Trap threw on Simon Cox, Shane Long and Jonathan Walters, but despite their best efforts (and a foul on Robbie Keane in the box which warranted a penalty), the Boys in Green were always second-best. Prior to the tournament, it was predicted that a win, a draw and a defeat would get the Irish through to the knockout stages, so I guess that’s the defeat out of the way! No quips about the Luck of the Irish? No word about the denied penalty(/ies)and how the at least 2 of the Croatian goals were kinda lucky and curious?! Croatia were passing machines, you could see why Srna is rated so highly. I admire the irelands they like people. Englands not so softly make others feel happy. Bad fortune irelands. I offer France solitude go France!! I offer also solitude to France! Ireland were very poor and have no midfield. the tactic seems to defend deep give the other team the ball and hope we get a setpece or corner. the goals were unfortunate i dont think shay given was 100% fit. there were a number of players who should have been at least given caps over the last 2 years, Seamus Coleman, Mc Cartney, Wes Holohan among others i have watched these players over the last few years. I watched duff, robbie keane they were very poor and i dont know why kevin doyle was taken off. Eamonn Dunphy was right and i dont always agree with him..We were blessed to qualify the russians battered us into the goals over 2 games. i really fear for us against spain we might get something agaisnt italy. terrible display. We usually play with heart. No closing down, to much time allowed on the ball. Just have to beta Spain and Italy now!